So we’ve arrived at my second Mother’s Day for 2010 (in my schizophrenic UK-Oz life) and my Mum is on a plane right now, wing-ing her way to the West Coast of the States, then to France…and then to me here in the UK! 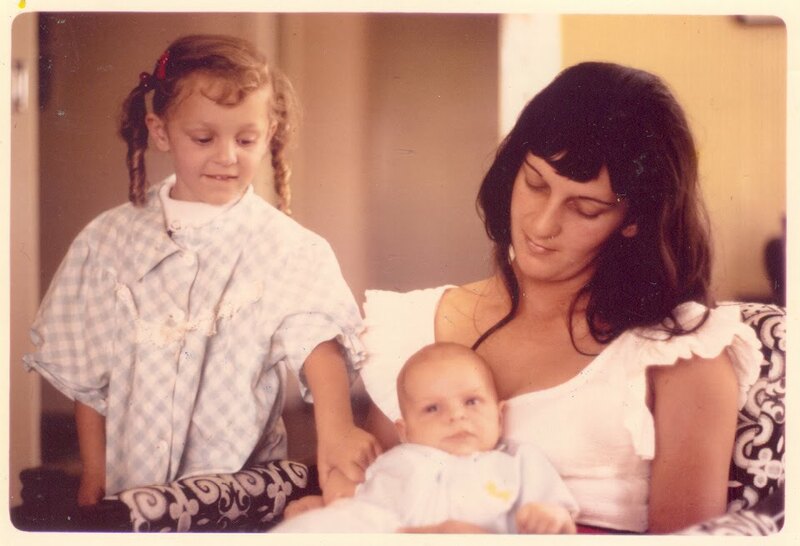 So in honour of this year’s second Mother’s Day, I thought I’d tell you about one of Mum’s very special skills…something very few people actually know about my Mum (particularly since she stopped doing my hair ooooh about 35 years ago!)…RINGLETS! …and yes, that is me in the ringlet pigtails. I could go into a litany of trauma experienced under the auspices of said ringlets (but there weren’t any) or trot out some other juicy tidbits that most people would not know about Mum. But I do have other things to be getting on with today and I’ve just remembered that it’s supposed to be a day to honour thy mother, not give her a complete (if gentle) roasting. This entry was posted in Uncategorized and tagged Mother's Day, sleeps to go by Kym Hamer. Bookmark the permalink.